The choices of other people are argued to increase the value of such choices for individuals. The related neural processing is encoded in the ventromedial prefrontal cortex, and the signals are predictive of conformity with other people’s preferences. 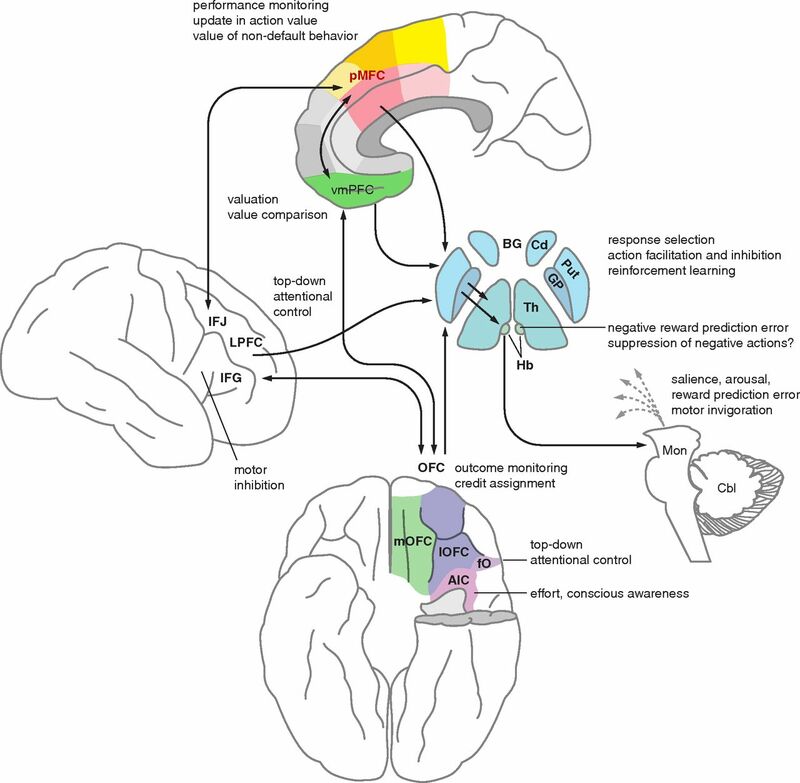 This processing interacts with the individual’s processing of risk preferences in both the anterior cingulate and the insula cortex. Economic utility theory demonstrates that both subjective preference and objective valuations are involved in deciding uncertain options. The influence of other people is here referred to as other-conferred utility’ (OCU). An OCU model using Bayesian Information Criteria (BIC) is claimed to be better at predicting choices than a random-choice model. This supports the argument that other people’s choice of an option increases that option’s subjective value for an individual. The influence of others was shown to be asymmetric with risk-averse individual’s more influenced by the safe options of others, while risk-seeking individual were more influenced by the risky options of others. The authors attempted to find whether there was a neural instantiation of OCU. Scanning with fMRI showed activation in the ventromedial prefrontal cortex, a region that is known to encoded the subjective values involved in value-based decisions. This activity varied in line with the OCU assessment of the options. Those with the most ventromedial activity were those most likely to conform with the choices of others present. When the risk or safety of others’ choices was assessed on a case-by-case basis, this showed up as increased activity in the dorsal anterior cingulate and the anterior insula, regions associated with cost and pain, which encoded the difference between the individual’s risk preference and the risk preferences of others. 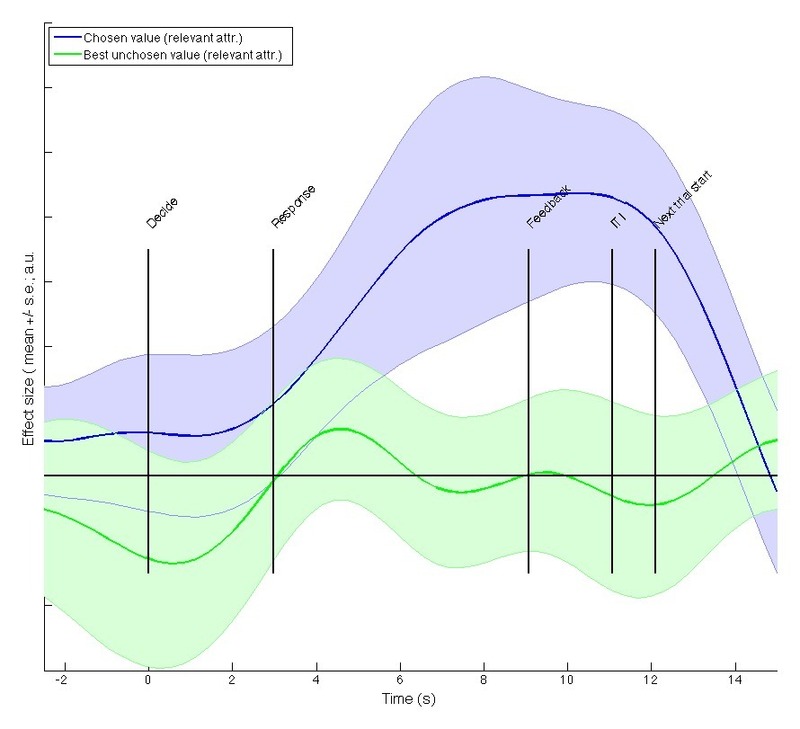 The ventromedial is shown in many studies to be involved in representing common subjective value across different sensory domains, and valuation signals have been seen to reflect social feedback. This study shows that the ventromedial operates to combine information from others with initial personal preferences. This is seen as being consistent with the real-world behaviour of groups.